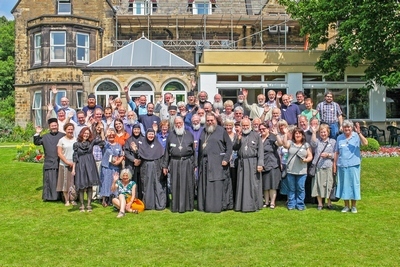 The Fellowship of St John the Baptist brings together members of the several Orthodox Church Traditions in the British Isles and Ireland. We come together within the Fellowship, and through prayer, discussion and mutual friendship, deepen our commitment to, and understanding of, the Orthodox Christian faith. With this in mind, we organize national and international conferences, pilgrimages, study weekends and youth festivals. We produce various publications for the edification of Orthodox Christians, including our bi-annual journal Forerunner, our annual Calendar and Lectionary and a Directory of Orthodox clergy and places of worship in the British Isles and Ireland. We also have a successful and popular choir, called the Mosaic Choir and a Women’s Ministries initiative. Although our work is based in the British Isles, membership is open to all Orthodox Christians. Our events are open to non-members, but we hope that those attending who are Orthodox Christians will want to support our work on a more permanent basis by taking out membership. Members receive Forerunner, the Fellowship journal, twice a year.